Hi! My name is Morgan and I like to play video games. Before you write me off as an adult, let me share with you my thoughts. Yesterday while I was chatting with my husband about stats, researching weapons and play styles, and debating with him the best spec for a character, I realized I love video games because it’s more than just pushing a button and causing an avatar to run across a screen. It’s logic, strategy, eye-candy, amazing stories, and community all rolled up into one: video games. Video games have come a long way since Mario crossed the television screen and jumped on his first goomba. Now games can range anywhere from puzzles to shooters to strategy to vast worlds and epic stories. Video games are not just something you watch, you interact with them. In some ways, they are highly evolved versions of the old “choose your own adventure” books I loved as a kid, complete with mind boggling graphics and grand-sweeping stories. I can live the life of a mage in the world of Skyrim. Or I can fight the Alliance as a dagger-wielding troll. I can remember what it was like to be a ten year old wishing I could go on adventure like Ash in Pokemon, or save Hyrule as Link (not Zelda, Zelda is the girl ;). As you can see, video games have a way of expanding our imaginations and reminding us of what we used to dream about when we were young. I also love video games because there is so much strategy and planning that needs to go into them. Yesterday I was leveling my warrior with my husband and we were chatting about the benefits of different talent points and specs. Yeah, it’s an imaginary world, but that kind of thinking and problem-solving helps expand those areas of the brain. Not to mention the benefit of engaging in conversation with my husband. Which brings up the last reason I love to play video games: the relationships and community! My first experience with gaming was watching my husband blow some steam after a long day at seminary by playing Age of Mythology. I was fascinated with the world building and strategy and finally asked him to teach me to play. Soon we were conquering the world together (I gathered resources and he took our armies out). Since then, we have always played together. Gaming allows us to do “shoulder to shoulder” stuff and talk while we play. Gaming has also opened up opportunities for me to connect with other people. I have been with a great guild on World of Warcraft for six years and have made many friends. I also play games with my kids which has allowed me to spend time with them and talk with them (having a hard time talking to your son? Play a game with him. It’s amazing how he’ll open up while he’s digging for treasure in Terraria). And it has also allowed me to connect with teens at church. All I need to do is share the Pokemon I recently caught or how my rogue is doing in the battlegrounds and suddenly I’m not some big, scary adult! And those conversations usually led to other, more serious conversations. I understand their world because I am part of their world. Gaming is not for everyone, but it has its place in this world. And it’s a world I will probably be a part of for a very long time. How about you? Do you play video games? Which ones do you play? What do you enjoy about them? 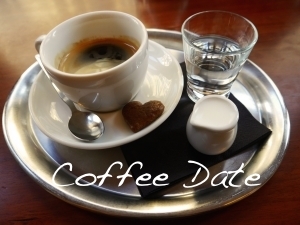 It’s the end of August and that means it’s time for another coffee date! This month I received some very interesting questions from my readers 🙂 . Lisa asks: What is one writing “rule” that you like to break? To rephrase Barbossa from Pirates of the Caribbean, “The rules is more what you’d call “guidelines” than actual rules.” If it moves the story along and engages the reader to the end, then I say you can pretty much do anything you want with your story However, that’s not the question. So what “rule” do I like to break? I’ll share two if you don’t mind ;). Deep POV. For those of you who are going “deep what?” deep POV is where you go deep inside the third point of view of your character. I believe in showing things through the character’s experience. But there are times when the scene becomes really intense and I need to dial it back, so I choose not to use deep POV. It’s a personal preference. I think it’s also why I shy away from using first POV. I sometimes need some space between me and the story. It’s like this: I can really get into a movie (if it’s good). But if I’m watching something scary, I like to watch with all the curtains drawn back on a sunny day so I can pull back from the intense scenes if I need to. I’ll also sometimes “tell” the emotion if there’s already been of heart racing, gut clenching, sobbing, or however else you want to describe an emotion. Sometimes it helps to say that a fiery rage burned inside the man’s chest instead of a fire. But that’s just me, and if my editor insists, I’ll change it. I’m a good girl :). I also like to use a lot of description at the beginning of a scene, kind of like setting the stage, then bringing the characters on and letting them do what they need to do for that scene. There are many different thoughts on description: use only a little bit and let the reader’s imagination do the rest, sprinkle it throughout the scene, or set the stage (like I do). I learned to do this with my first editor and when he explained the “why” for it, it totally made sense for me and I’ve been a description stage setter ever since. And since we are on rule-breaking, I want to put in a word here for my friend and former editor’s new book. Jeff Gerke‘s The Irresistible Novel covers rule-breaking and why it is important to engage the reader first and foremost. Excellent material and great for both the beginner and advance writer (and recommended by David Farland!). Laura asks: So I know you mentioned playing video games after Heir of Hope released and I want to know what’s your favorite video game or your top three (whatever is easier)? I never really played video games until I was watching my husband play Age of Mythology years ago and decided I wanted to join him. Since then I have played almost everything from Mario and Zelda to more complex games like Oblivion/Skyrim and Dragon Age/Mass Effect to online MMORPG’s like World of Warcraft, Star Wars Old Republic, and The Elder Scrolls online. However, as a writer, I limit my game playing to between books. There are only so many hours in a day and when I’m writing, it is split between my manuscript and my family. But when I write, “The End,” I usually take a couple weeks off to give my brain a break and forget everything I wrote so I can come back with a fresh pair of eyes. That’s when I break open the book or game I’ve been waiting to dive into. So what are my favorite games? Hard question because I love so many! I love the Mario and Lego games because I can play it with my kids. I have loved Zelda since forever and have played almost every single game there is. For amazing world graphics, music, and story building, The Elder Scrolls are my favorite (Oblivion, Skyrim, and their online game). The Dragon Age series is a close second, with Dragon Age 3 vying for first place with The Elder Scrolls. And I love online games because my husband plays them and I enjoy playing alongside him. I’ve played World of Warcraft on and off since The Burning Crusade and used to play as a raid tank healer until it started taking too much of my time. And I was there the first day The Elder Scrolls launched. I’m always looking for questions for my coffee dates. Have a question? Leave it in the comments below or email me and I will be happy to answer it during my next coffee date post. I blame my husband. I played video games, but they mainly consisted of Mario and Tetris. It wasn’t until we moved to Dallas, Texas, and my husband Dan began attending Dallas Theological Seminary that I first had my taste of the gaming world. One day, as he was taking a break from homework, I looked over his shoulder to find him playing Age of Mythology, an RTS (Real Time Strategy) computer game. I was intrigued. I started asking him questions. We traded spots, and he started showing me what each unit was and what the main goal was in the game. A couple days later, we linked our computers and became a gaming couple. At first we started with RTS games. I would gather supplies and he would lead our armies. Then we worked up to some light shooter games like Star Wars Battleground. I usually would play the role of sniper and would cover Dan as he would run into hostile situations. Eventually we made our way to MMORPGs (Massive multiplayer online role-playing games) and single player games on consoles like the Wii and Xbox. But our favorite games are those we can play together. Early on in my gaming, I came to realize there needed to be boundaries in what I played. You can do almost anything in the gaming world (maybe everything). And a lot of it is stuff that has no place in my life. That conviction was reinforced when I read an article written by a Christian gamer. The main point he made in the article was never do anything in a game you would not do in real life. Those are words I live by now in my own gaming. 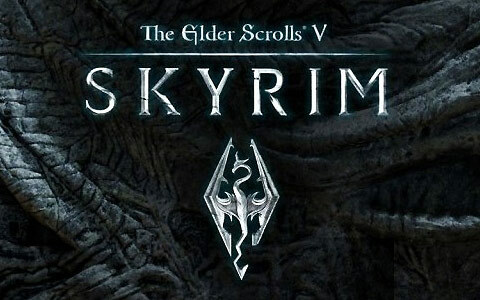 For example, one of my favorite games is the Elder Scrolls series (Oblivion and Skyrim are two of the titles). In those games, you can join the Thieves Guild and the Assassins Guild. Because of my convictions, I chose not to join either guild and therefore did not play those particular parts of the game. Why? I would not steal in real life, therefore I will not steal in a game. I would not choose to murder someone in real life, so I won’t in a game. Now you might be pointing out that most games consist of killing. Yes and no. It depends on the role you are playing in the game. Are you a soldier? In a war? Well, in that case, there will be some death involved. But I never will be an assassin, killing innocents for money. I have also made the choice not to play overly gory games. I don’t need to see that kind of stuff on the screen. I’m thankful that there are now options in the settings to remove the gore out of most games. Another area I place boundaries around is the romantic storyline in a game. I choose not to follow amorous relationships to the bedroom (yes, you can now do that in games and watch the cut scenes). No thank you. So with all the potential pitfalls and dark elements in the gaming world, why do I still play? After all, wouldn’t it be safer to just not play at all? Sure it would. And I know a lot of Christians who choose not to play video games. But for me, I like playing video games because I like adventure, I like the unique stories, and I like being the hero (or in my case, heroine ). It is also something my husband and I can do together and enjoy. And I like meeting other people. The gaming world is a place full of real people with spouses and kids. It is also filled with people who have lost their jobs, struggling with suicide and looking for hope. In a time and age where front porches have disappeared and meeting people outside our own small circles becomes harder, games have become the new meeting place. I have met people from all over the world and in every walk of life. I have been able to share my faith, encourage those going through hard times, and make new friends. I have been a part of both Christian guilds and regular guilds. The people on the screen are just as real as the ones you meet on the street. But aren’t there dangerous people in the virtual world? Yes, there are stalkers and weirdoes and unsavory characters. Navigating through the gaming world requires good judgment and using your common sense. But as one person once pointed out to me, the gaming world is probably one of the least reached spheres of people. It is a dark place in need of light. Trust me, when you play with kindness and integrity, you tend to stand out, much like a candle does in a dark room. This uniqueness leads to opportunities to share the why behind your play style. Christians and the gaming world do not need to be at odds with each other. Games can be a place to recharge the imagination, come together as a couple or a family, and meet people beyond your physical sphere of influence. And they can be fun too! 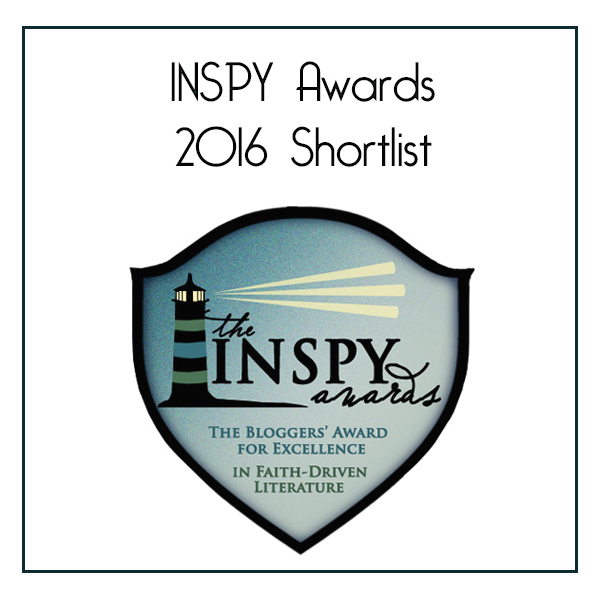 *I originally posted this article at speculativefaith.com.